We’re halfway through January now, and if you’re like me, you’ve probably spent the last several days and weeks thinking about this new year. You’ve got a fresh start ahead of you and you want to make it count. Maybe you’re coming out of 2018 with a sigh of relief that it’s over–I know that was the case for me. And now you’re looking at the next twelve months knowing you want things to be different. In Christian culture, the new year is often the space where we decide we’re going to do better with some of our spiritual disciplines. This year we’re going to trust God more. We’re going to pray more. We’re going to find a way to serve in our church. 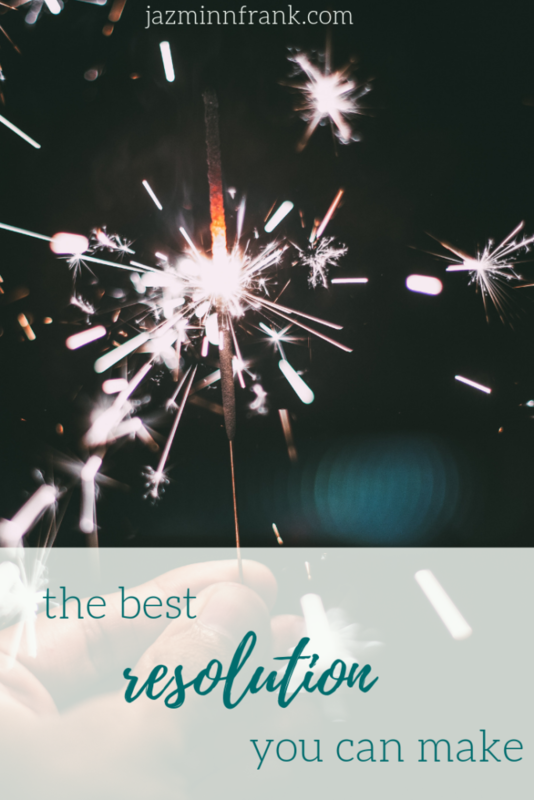 The most common Christian goal for the new year? Bible reading was a discipline I grew up watching my parents do, and I was pretty young when I made my first go at reading the whole Bible. One year our church had put out reading plans that assigned a handful of chapters a day and if you stuck with it, the plan would take you through the entire Bible in a year. I can’t remember if I made it through everything that year, but eventually I did. In all my years of following Jesus, I’ve probably only read through the Bible in it’s entirety three times, maybe, but I think that’s being a little generous. However, even when I don’t make it all the way through the whole Bible, I make it a point to read something every day. Those early years of watching my parents and making the effort to read the Bible on my own established a discipline of Bible reading for me, and really, I’m not sure there is any other habit that has helped me more in my life. Even more than the discipline, though, I really have fallen in love with Scripture and the God whose story fills those pages. If you want things to change this year–if you want to have healthier relationships, if you want to find healing for that hurt that just won’t go away, if you want to know God better and love his story more–the one resolution that will make a difference is reading your Bible. You don’t have to read all the way through in a year, but you do need to make it a priority. You need to be devoted to making time for God and his Word. To be devoted means to be committed to the pursuit of something; to be faithful or steadfast. The things we are devoted to will take up the majority of our time. We prioritize them. When we are devoted to something, we are willing to give up other things so that we can do this thing. Devoted is exactly what God desires us to be when it comes to our relationship with Him and our time spent in His Word. Maybe you’ve made this resolution before. Maybe you’ve set the goal to read your Bible and the habit just fell by the wayside. Maybe you’re heart is tugging at you to try all this again, but you wonder if it’s even worth it. Trust me, it is. But maybe what you need is just a simple perspective shift. Most of us when we approach Bible reading, it’s something we know we should do. We know that in order to be good little Christians, reading the Bible is expected. But what if we moved away from the should’s and have-tos and asked God to change our heart-set? What if instead of making this a box to check off our to-do list each day, we viewed Bible reading as a meeting, a date with God to get to know him a little better? What if Bible reading were something we devoted ourselves to? Now, I know setting a goal can be hard. We often give up on resolutions because, while we know what we want to accomplish, we don’t always have a clear plan to get there. 1. 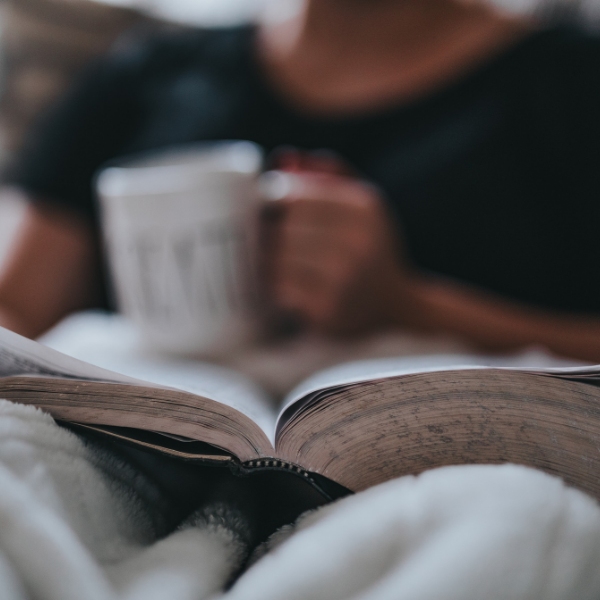 Find a reading plan: It’s easy to reach your goal when you have a plan, and there are a TON of Bible reading plans out there that break up the Bible into daily readings. Some plans will get you through in a year. Some will just focus on one area of Scripture, such as reading through the New Testament in 40 days. There are also devotionals and Bibles that not only provide daily reading passages, but also help you understand what you’re reading a little better. Last year I worked through some of the Redemption Series* from Daily Grace Co. This four volume devotional set give you a daily reading of about three chapters and walks you through the entire Bible, cover to cover, in a year. The devotionals included in this plan also provide a good summary and some insight into what the passage is about. 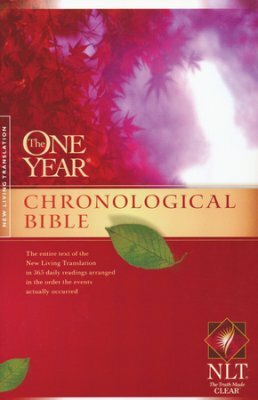 Another tool I’ve used before and loved is the NLT One Year Chronological Bible*. Reading the Bible chronologically is a fascinating way to read through the Bible, and I highly recommend it if you’ve never done it before. Since the Bible isn’t organized in the order events happened, the Chronological Bible not only breaks up your reading into daily sections, but also puts everything in order of how things happened. Reading through the Bible chronologically is a great way to see the ongoing narrative of God’s story and how all the different books fit together in history. 2. Find accountability: For any goal or discipline we want to develop, it’s important to share that goal with someone. It can be easy to give up on our goals when no one else knows what you are trying to accomplish or change, but when you’ve got someone asking you how things are going, you want to be able to share that you’re making progress. Accountability is an extrinsic motivator for those of us who have trouble motivating ourselves. This is part of the reason I started up the Devoted Community group on Facebook. I wanted to create a community that could grow in loving God and loving his story together. It’s a place of discussion and community Bible study. For these months leading up to Easter, we’re actually all working through the same reading plan on Luke and Acts that I mentioned before, and sharing what we’re learning. Reading with someone else or even just telling someone that reading the Bible this year–whether you want to read the whole thing or just read a chapter every day–will help you stick with it. 3. Find time: One of the biggest excuses we give when it comes to spending more time in God’s word is that we just don’t have the time. And if you have kids or a packed out schedule, it may seem that way. But like I mentioned earlier, we will spend our time on what we are devoted to, and if this year we are resolving to devote ourselves to Scripture, we need to make time for that. I have a set time each day that I devote to God, every morning. I read in my room, most of the time with my door closed so that I’m not disturbed, and I keep my journal, Bible and whatever devotional or Christian living book I’m reading near my bed so everything is within reach. There are times when I intentionally move my time to later in the morning or even to the evening. Sometimes I find I’m just too tired to focus or my schedule doesn’t allow for an early devoted time, and that’s okay. But generally I know the morning time is my time with God to dig into Scripture. Do you have a specific time you can set aside to devote? Finding that time may not come easily. Schedules may need to be switched around, you might need to get up a little earlier than normal. Whatever you need to do, make the time and keep that time just like you would if you were meeting someone for coffee. 4. Receive grace: We all have our best intentions, but inevitably, life will happen. There will be days you just don’t read. Or maybe you only get through one verse instead of that one chapter you had planned. There will be times your heart just isn’t in it and you’re distracted by so many things that reading that day will just not work out. And there will be days you completely forget. Bible reading isn’t a perfect science and it isn’t some performance that you’re graded on. This is God’s word! It’s his story, his heart written down on a page so that you can know him better. And that is the ultimate goal, isn’t it? We want to know God better. And if I know anything about God, he is the most gracious person I know. He knows my flaws and my weaknesses, my laziness and those mistakes I keep making. He knows that sometimes I choose Netflix instead of my Bible, that I choose sleep instead of prayer; that I choose others instead of him. It’s important to have a plan and stick to it, but it’s also important to give ourselves grace when we get distracted or forget our priorities. However you do it, whatever it looks like for you and God to spend time in his word this year, I promise you, the you spend getting to know him better will be worth it. You don’t have to read thorough the entire Bible this year. You don’t need to commit to an hour of reading each day. Just a chapter or a verse or fifteen minutes can make a difference. Let’s make time to be devoted God and his word this year. If you need some help or want that accountability I mentioned earlier, I’d love to have you join us in the Devoted Community. It’s a great place for discussion and journeying through Scripture with others who have the same goal. Along with providing studies and reading plans, I also provide some video teaching each Wednesday to help you develop Bible study skills so that you can not only read Scripture, but also dig deeper to study it on your own. Community question: What are you doing this year to devote yourself to God and his word?